Good interview with Josh Rohatinsky prior to his PR 1:01:55 half marathon in New York, where he reveals a history of iron deficiency. This race is a good indication that Josh is right on track for his Boston Marathon build-up. Television EMF- Is it Safe? Is indoor cycling in front of a television safe? When I first started using my road bike on E-Motion Rollers, I thought the only risk for me was falling off (OK, I admit I did kind of tip over the other day trying some out of saddle standing climbing, but I just in case I padded my floor with several blankets to soften the fall). Now I'm not so sure. Thinking I could track total miles ridden rather than time, I purchased a wireless bike computer. If you are not familiar, a magnet is attached to a spoke, which passes close to a sensor mounted on the fork. The sensor transmits to the computer mounted on the handle bars, indicating speed, distance, etc. The problem was, I couldn't get it to work. After changing the battery and fiddling with all possible angles and distance from the magnet to the sensor, I simply gave up. Then one day I removed my bike from the room and presto, the computer worked perfectly! I took it back into the room where I had my E-Motion Rollers set up, and it immediately quit on me. After a little research, I learned about electomagnetic forces emitted by televisions and other appliances (World Health Organization). I discovered that my bike had to be moved all the way out into the hallway (10 ' or so) before EMF interference from the television disappeared. Is EMF harmful? Let's hope not, because I have to have the TV on when I ride indoors. If you have a "bucket" list for marathons, there is no way you can exclude the Bataan Memorial Death March Marathon. 1. The "heavy" category means you carry 35 pounds. 2. "I've done 17 marathons - this was unreal. I wasn't prepared for the sand. I wasn't prepared for all the loose sand - many miles of this and a lot of it uphill." 3. "Being part of an event honoring the real Bataan Death March and meeting actual veterans"
The Next Bataan March Marthon is March 27, 2011! Results for 2010 here. Read about the REAL Bataan Death March here. Mo Takes 3rd at New York City Half Marathon! Mohamed Trafeh's 1:00:39 half marathon in New York puts him at least in the same ballpark with America's best, Ryan, Meb, and Ritz. The question is, WAS THIS GOOD ENOUGH TO ATTRACT A SPONSOR?? Of note, Josh Rohatinsky, a former NCAA XC champ from BYU, is showing signs that his switch from Alberto Salazar to Jerry Schumacher is paying off. Josh finished 6th in 1:01:55.
Who is Telling the Truth? You Be The Judge! Marathon Performance Training Group is pleased to announce the addition of Mohamed Trafeh. The former Arizona Wildcat and Duarte High School, CA phenom is preparing for a breakout season. The 24-year old wrapped up 2009 with a victory in the 32nd Annual Cow Harbor 10k (29:15.6). Other notable finishes included 2nd at the USA 20k Championships and 12th in the USA 15k Champs. He is tentatively scheduled to run a marathon in Morocco (where he is currently training) to begin the 2010 season. Trafeh makes his home in Southern California. Brad Hudson coaches you, correct? MT: No. I am self-coached. Did he ever coach you? MT: No. I talked to him a couple of times. He gave me some friendly advice. On the Marathon Performance Web site, it says he is your coach and agent. It also says you run for their team. Mo Trafeh- Self Coached Runner Poised for a Breakthrough! I'm rooting for Mo Trafeh to do something special at the NY City Half Marathon this weekend. In case you missed it, Trafeh led the Jacksonville Gate River Run (15 kilometers) just last weekend from start to finsh (4:22 opening mile), winning with an impressive 42:58. Not bad for a self-coached runner with NO SPONSOR! Good write up on Trafeh in Running Times. Currently his sole means of support is road race prize money, so you know Trafeh is hungry and motivated. Could you imagine Ryan Hall racing 15K an a half-marathon on back to back weekends? Go for it Mo! I'm rooting for you to hang in with marathon world record holder Halie Gebrselassie. You can watch coverage of the race at 7:30 am EST at universalsports.com. The story of Bereket Piatt and Habatamu Rubio, both PT juniors, is interesting, and not just because their coach is confident they will win state titles this year while chasing each other, although that is part of it. How would you like to be a high school coach that has not one, but 2 native Ethiopian boys running on your cross country and track teams? I even ran against these 2 last year at the 2009 Rhody Run in Port Townsend! If you are counting grams or calories, the recommendation is 30 grams of carbohydrate per hour, or a little more than 200 calories. For races lasting 3-3.5 hours they recommend adding 40 grams of medium chain triglyceride (MCT) to each liter of sports drink and sipping that. I've never shopped for MCT so have no idea if it's readily available. Unless you have access to your own drinks at aid stations, it doesn't make sense to use it during workouts. MY COMMENT: My recent post (Marathon Running Linked to Heart Problem) found higher blood pressure and stiffer aorta in runners, which I find surprising. This study found more calcified plaque, which I'll guess has more to do with diet than running marathons. MY COMMENT: Stay strong Ronald! Be sure to check out the Dana-Farber Marathon Challenge website- impressive! Khannouchi Coming Back at 39! At 39, I wouldn't bet against him running 2:10 or so this fall if he can remain healthy. The first time I met Hal Higdon, I was a graduate student at Ball State University. Higdon was part of an ongoing study on aging and it's effects on human performance. Since the late 60s', Dr. David Costill had been collecting data on a small group of runners, and Higdon was back for a check-up. Higdon, who finished 5th in the 1964 Boston Marathon and made 8 Olympic Trials appearances, was an amazing specimen. Back in those days we used a 3 lead electrocardiogram to monitor the heart's response during treadmill tests, and when we hooked him up, I was shocked to see his resting heart rate in the low to mid 30s (he says he's been as low as 30 beats per minute). Years later I met Higdon again, this time in Australia at the World Masters Athletics Championships. He was in the middle of a quest- running 7 marathons in 7 months in the year of his 70th birthday. Today Higdon is one of the most recognized authors of running books on the planet. He's written 35 books and countless articles and columns on running. 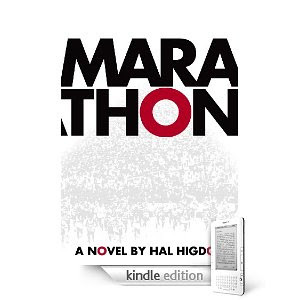 His most recent work is a novel appropriately called Marathon. If you are looking for a training plan to prepare for your next race, you need go no further than halhigdon.com. From beginner to ultra-marathoner, Higdon has a plan. Periodically I scan the World Famous Message Boards on the popular running website Letsrun.com. Recently one titled "What are some of the biggest running myths" caught my interest. You should always breath in through your nose and out through your mouth. Runners with longer legs have an advantage. Electrolyte replacement during a marathon somehow eliminates cramps, prevents hyponatremia, and improves performance. You can freeze your lungs running in winter. You'll catch a cold running in wet, cold weather. Expensive shoes will reduce injuries. Running will ruin your knees. Your body switches over to burning fat after 30 minutes. Running Boot Camps Are Here! MY COMMENT: Lawler is right- taking care of the neglected areas of conditioning should make you a less injury prone, and maybe a faster runner. No better way to motivate yourself and learn proper drills, etc than Running Boot Camp! MY COMMENT: I'm not sure there is anything you can do about this other than be more cautious when racing in a major city under conditons with poor air quality, especially those who are prone to asthma. Study finds that caffeine cuts post-workout pain by nearly 50 percent! MY COMMENT: In a related study, one subject reports that beer also cuts post workout pain by at least 48%!